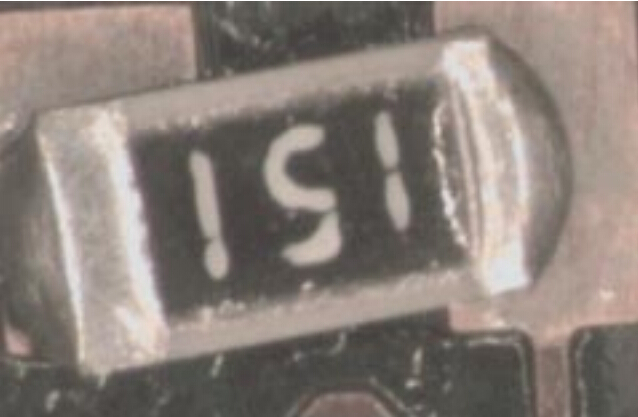 Industrial IoT, exciting words that get thrown around in today’s EMS. 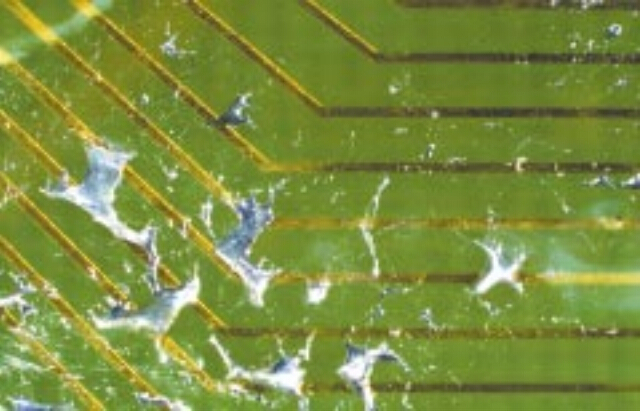 While we are actively engaged with developing Smart Factories with embedded technologies, we know that today’s after-sales services are vital. Here’s a look at our process and how you can find confidence in our approach to After-Sales Services. 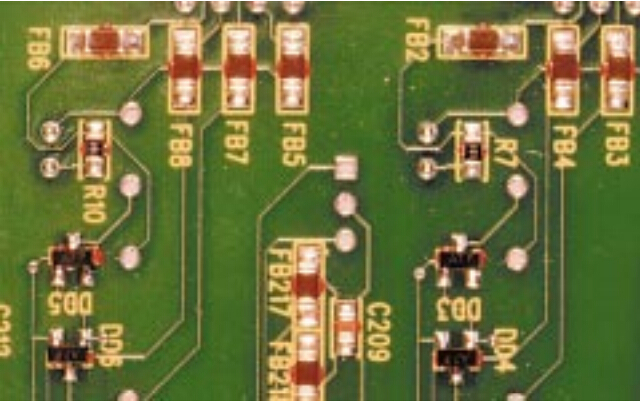 We arrange for your engineers to come to China and offer accommodationsincluding meals, and transportation while learning in our facilities. 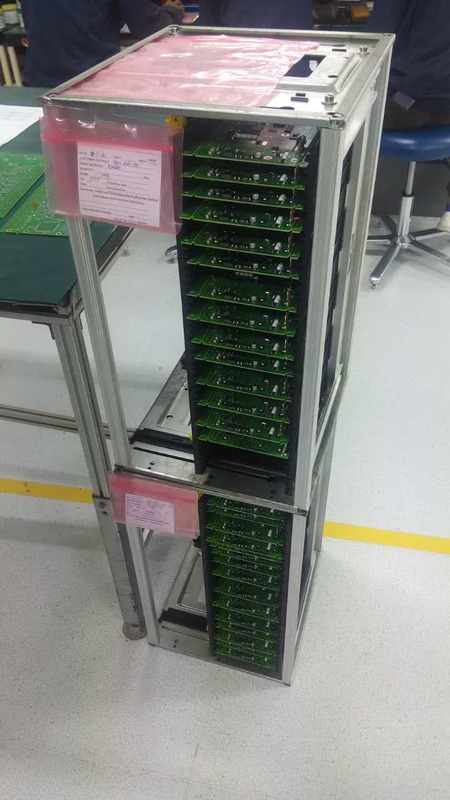 Our engineers are always here to make sure that your EMS Factory is always performing at top capacity. 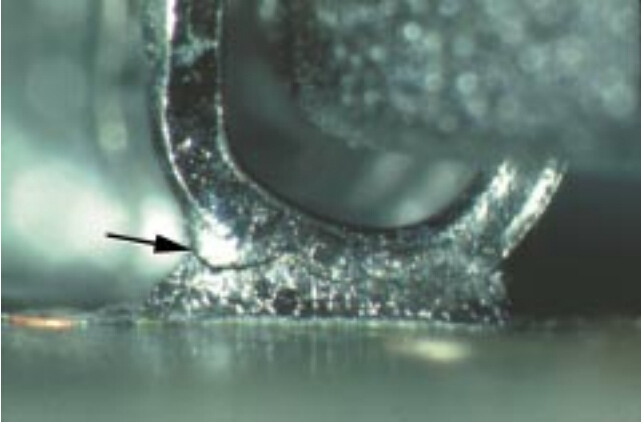 Here are some of the ways we ensure that you have everything you need to maintain top performing Equipment. We offer video trainings, Skype trainings, troubleshooting via Team Viewer, amongst other channels. 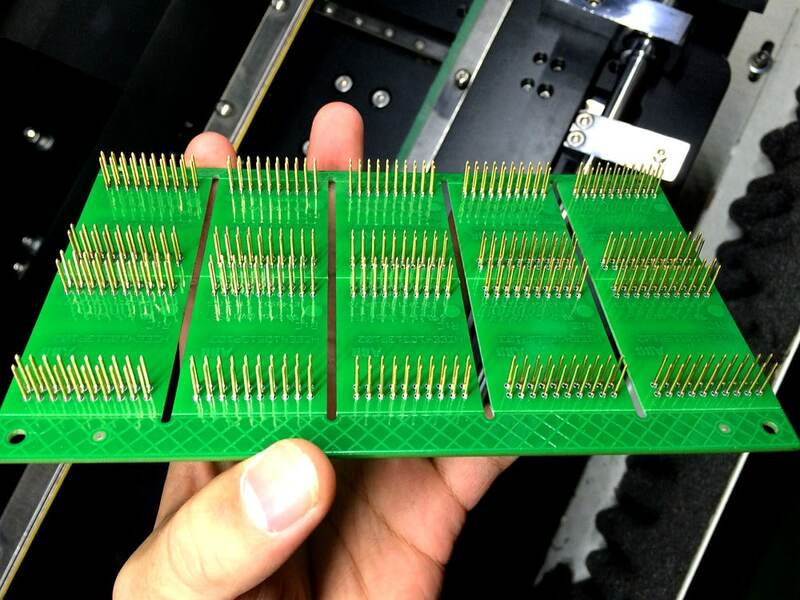 With Industrial IoT, we look toward a future where all sensors will be extremely intelligent and collaborate to perform tasks via an entire network geared toward constant monitoring and improvement. 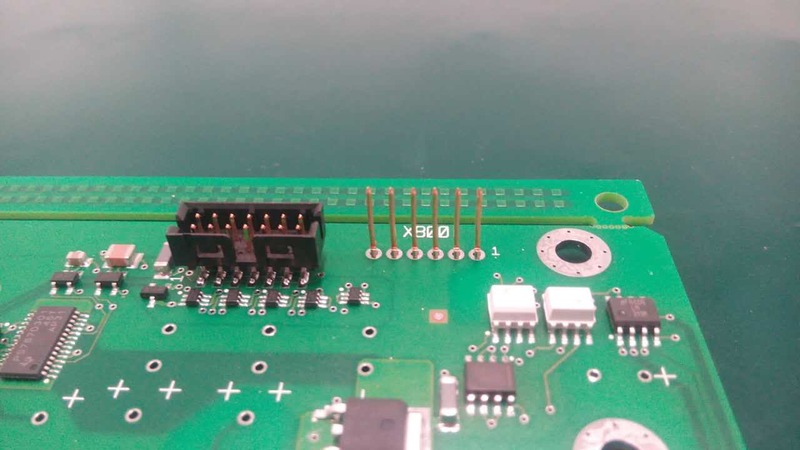 Southern Machinery will continue to provide the customer service you are used to but will also have the capability to offer instant feedback with intelligent sensors that constantly read data and measure equipment output and quality. We look forward to this future with you. 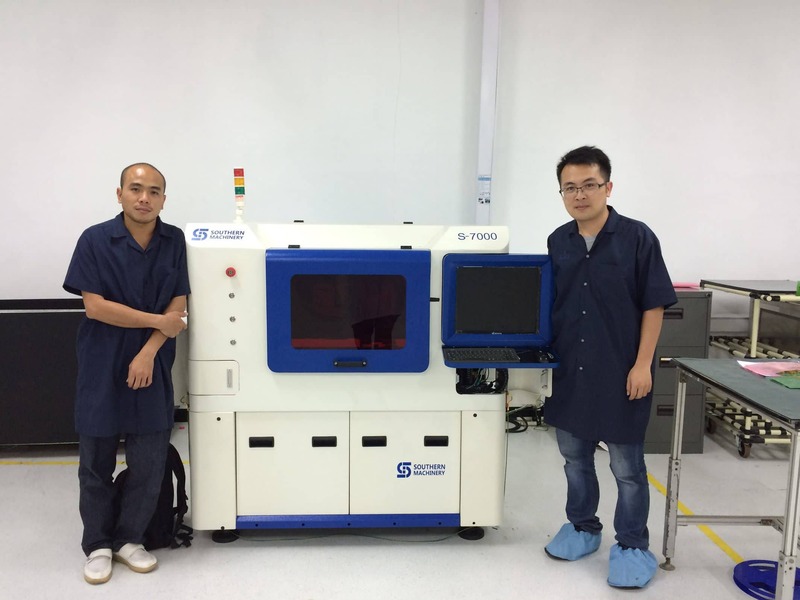 Southern Machinery just finish a new project in Thailand. 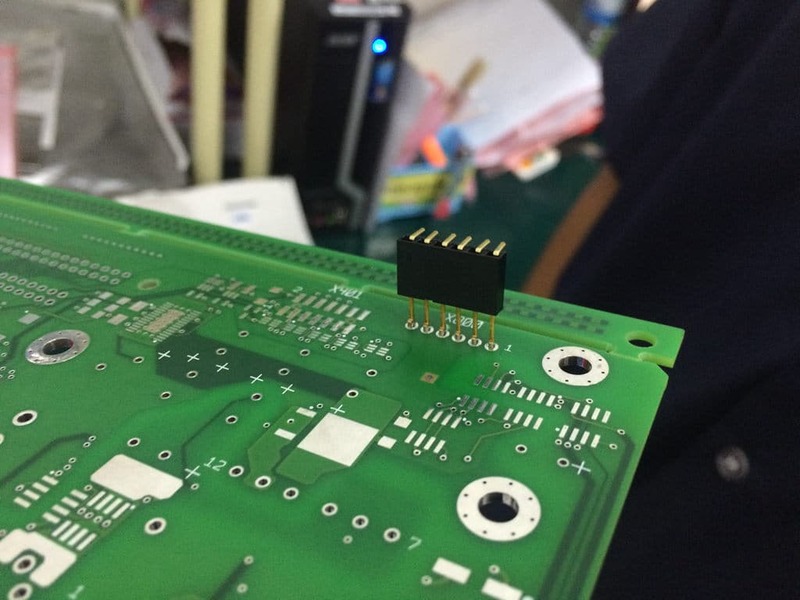 We sale a new model S-7000 to a thai customer in Samut prakan,maybe it’s the first TE square pin auto-insert machine in the world . 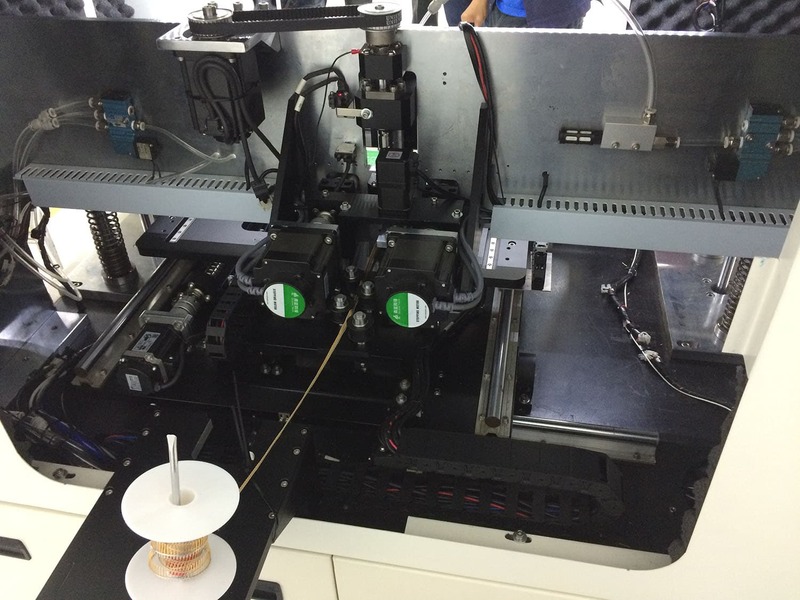 we send a engineer to thai for install this machine and training customer. 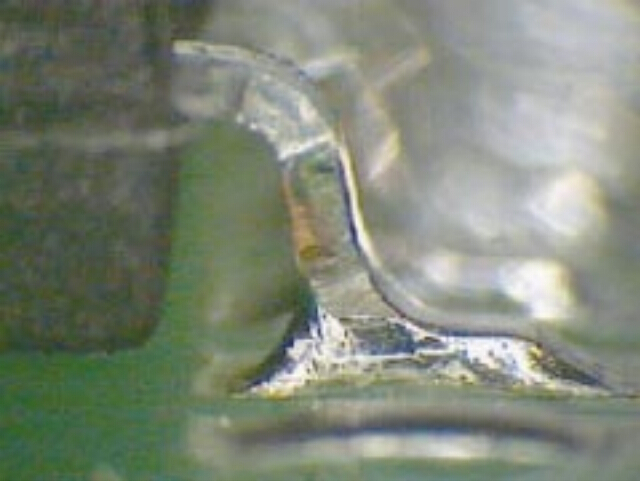 .Solder fillet appears generally smooth and exhibits good wetting of the solder to the parts being joined. 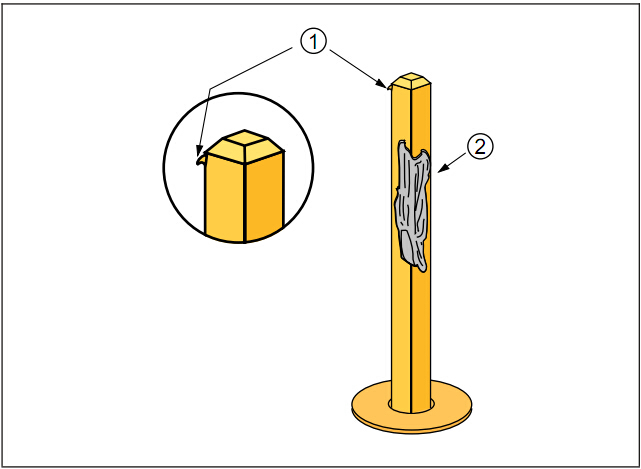 .Outline of the parts is easily determined. 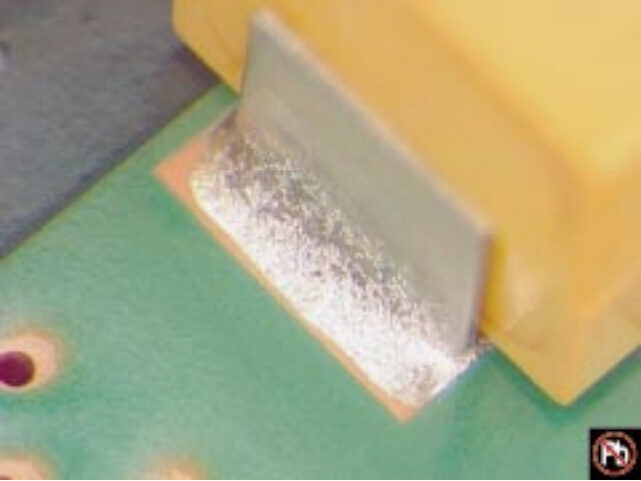 .Solder at the part being joined creates a feathered edge. 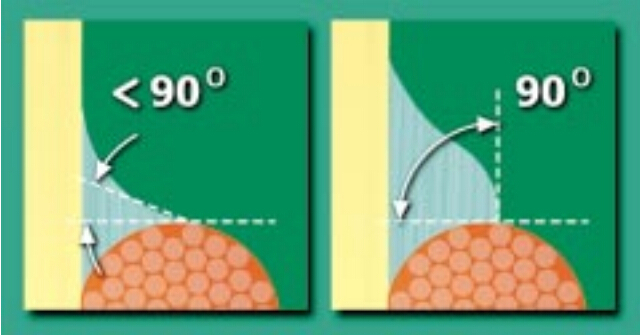 .Fillet is concave in shape. 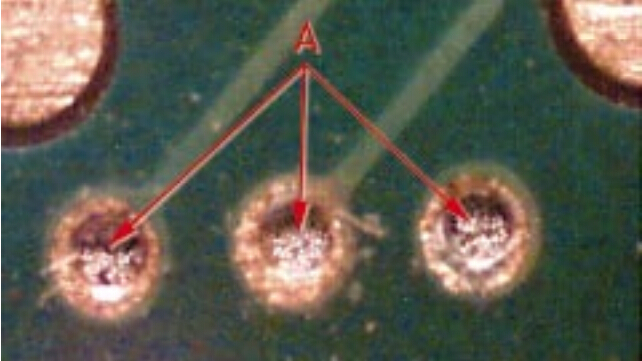 See pic for examples of soldering anomalies. 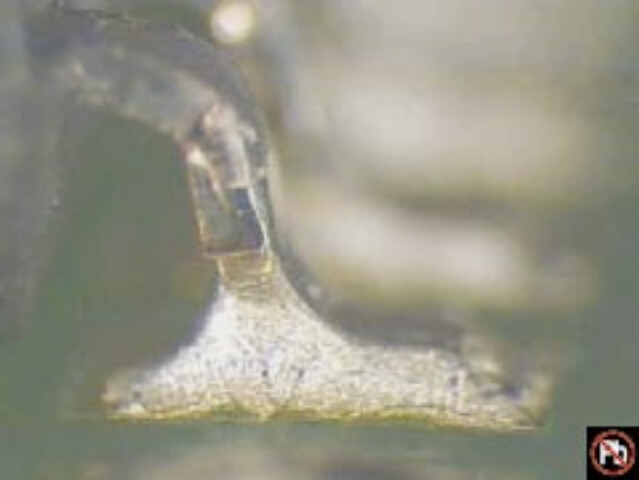 .The solder connection wetting angle (solder to component and solder to PCB termination do not exceed 90°(Figure). 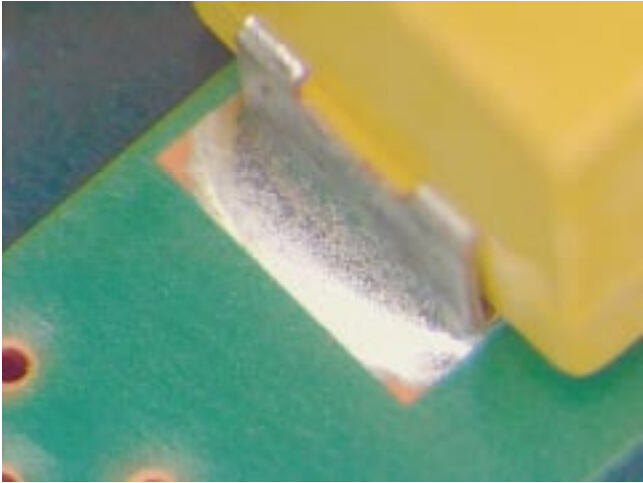 created by the solder contour extending over the edge of the solder able termination area or solder resist. 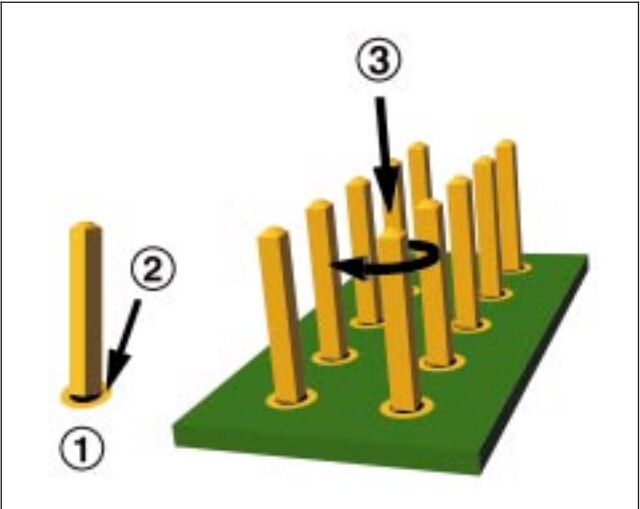 Figures below illustrate acceptable solder connections with various solder alloys and process conditions. 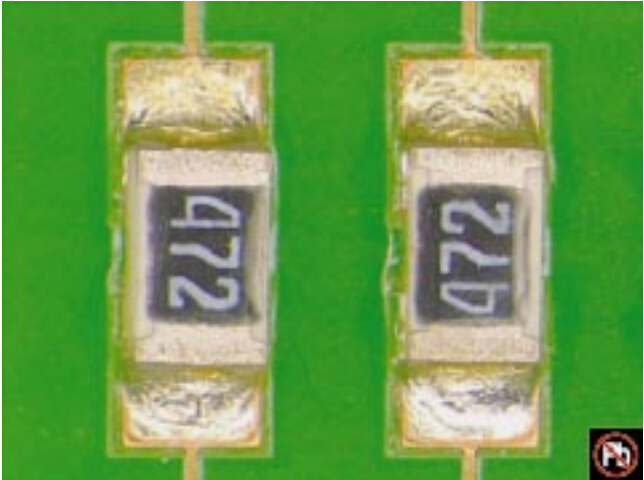 there quirements of 7.1.2.3 for leads and 10.2.9.1 for conductors and lands. 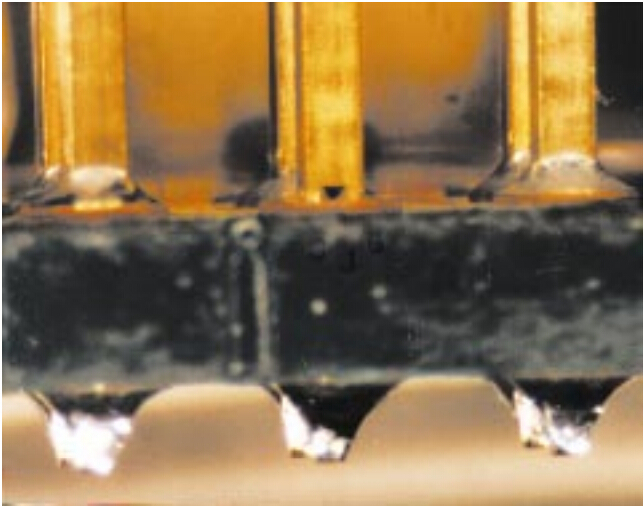 achieved wetting characteristics of the solder connection areas are acceptable. 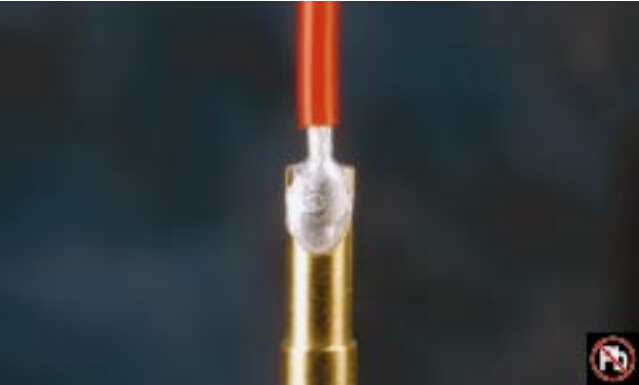 .Cut ends of component leads or wires. 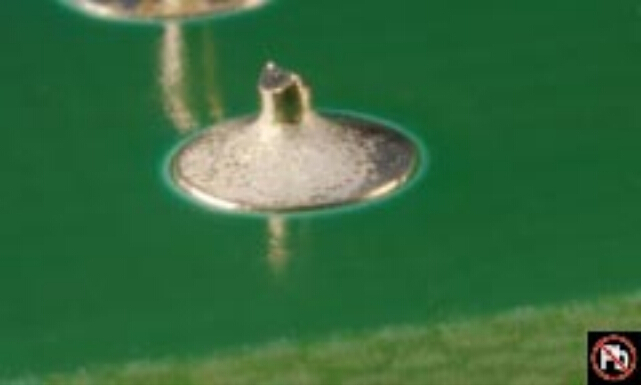 .Organic Solderability Preservative (OSP) coated lands. 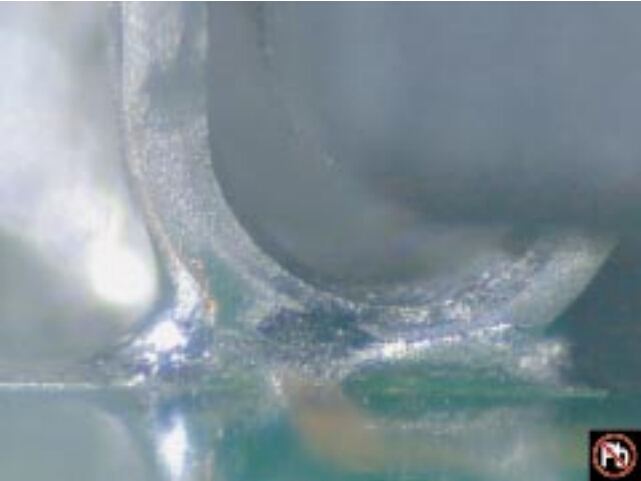 .Exposed surface finishes that are not part of the required solder fillet area. 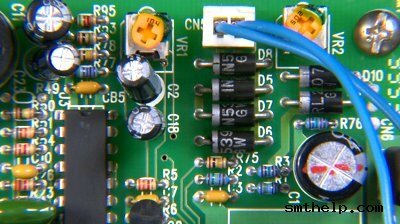 do not exceed the requirements of7.1.2.3 for leads and 10.2.9.1 for conductors and lands. 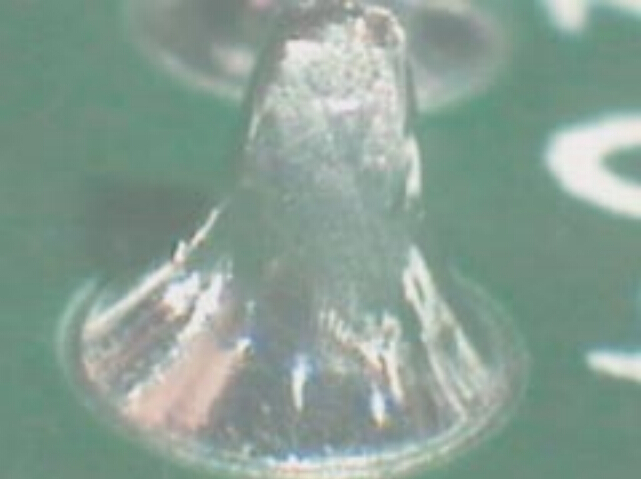 .Blowholes (Figures 1,2),pinholes (Figure 3),voids (Figures 4,5),etc.,providing the solder connection meets all other requirements. 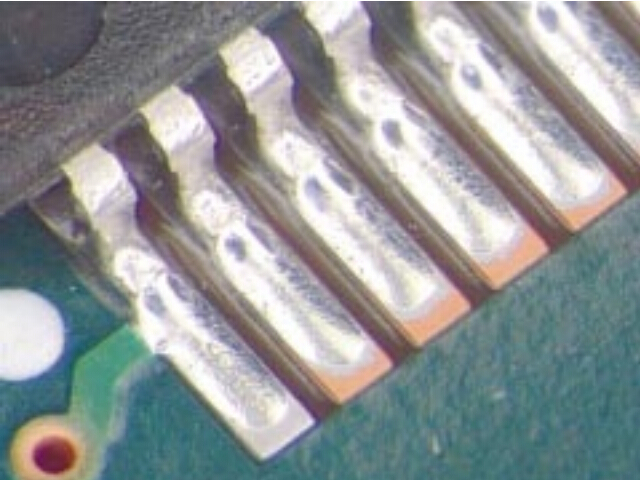 Solder connections where pin holes,blowholes,voids,etc. 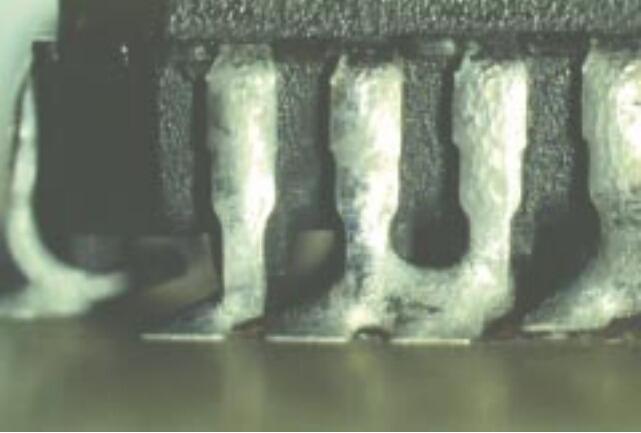 reduce the connections below minimum requirements(not shown). 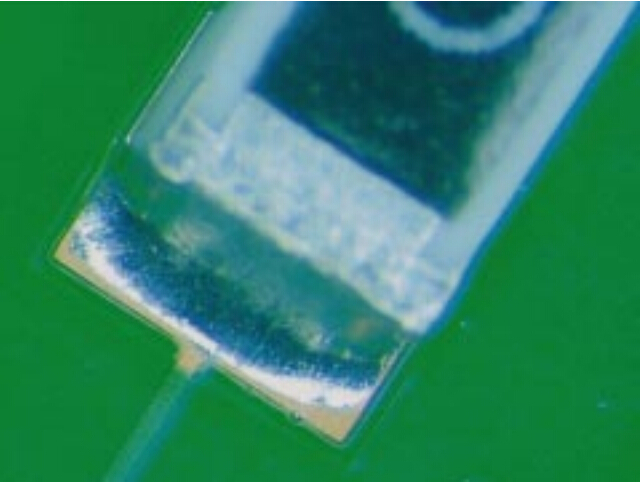 .Incomplete reflow of solder paste. 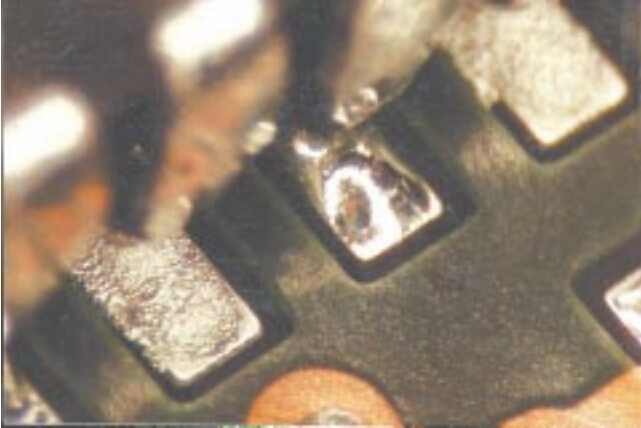 .Solder has not wetted to the land or termination where solder is required. 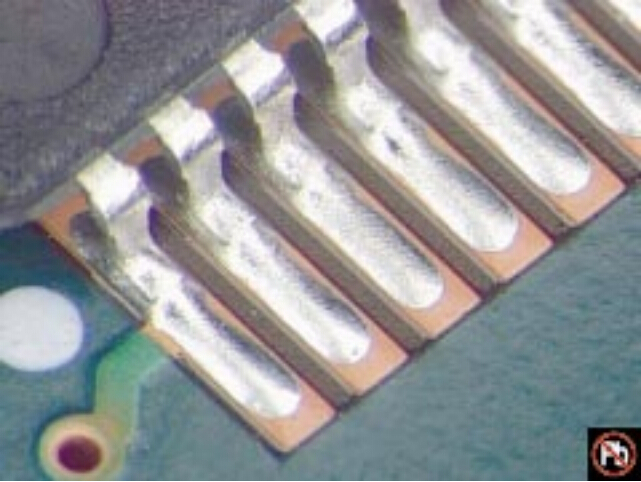 .Solder coverage does not meet requirements for this termination type. 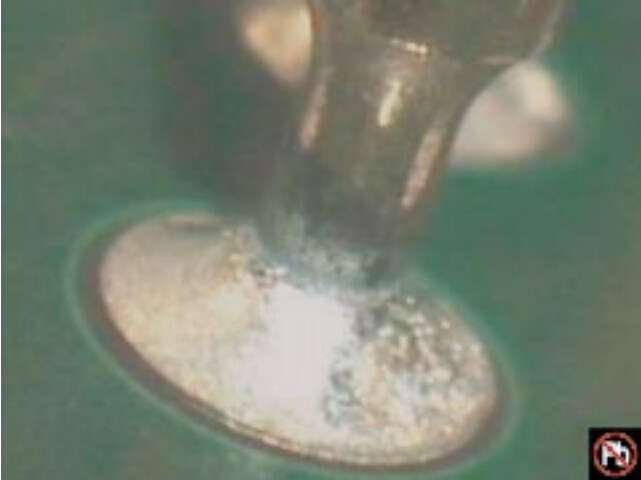 .Evidence of dewetting that causes the solder connection to not meet the SMT and thru-hole solder fillet requirements. 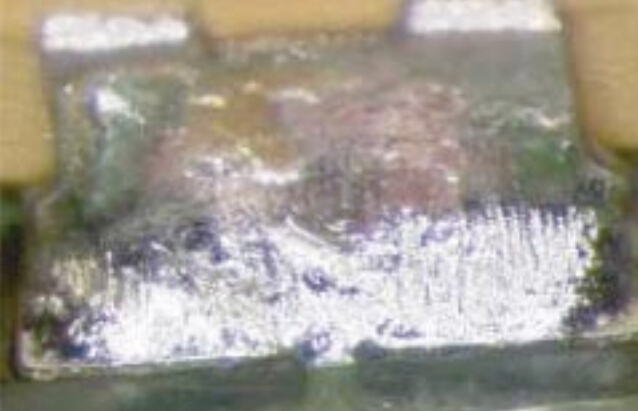 solder paste metal screen size that have splattered around the connection during there flow process. 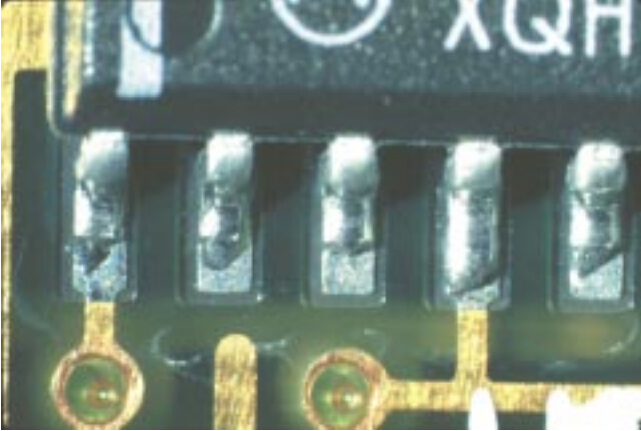 .No evidence of solder balls on the printed wiring assembly. 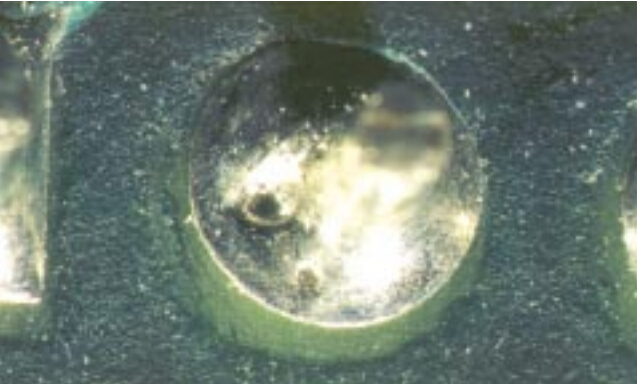 .Solder balls are entrapped/encapsulated and do not violate minimum electrical clearance. 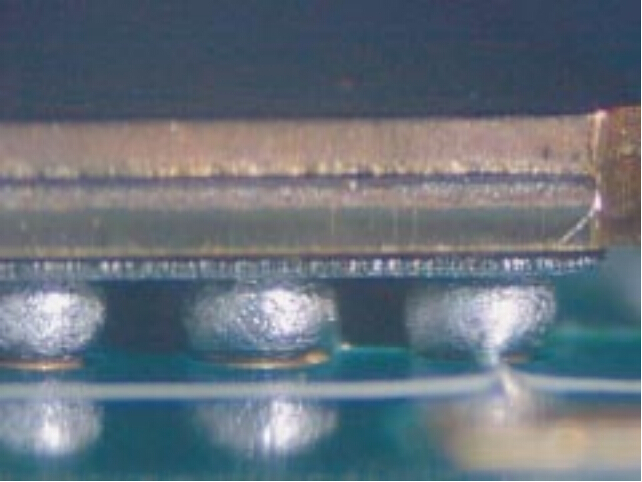 Note:Entrapped/encapsulated/attached is intended to mean that normal service environment of the product will not cause a solder ball to become dislodged. 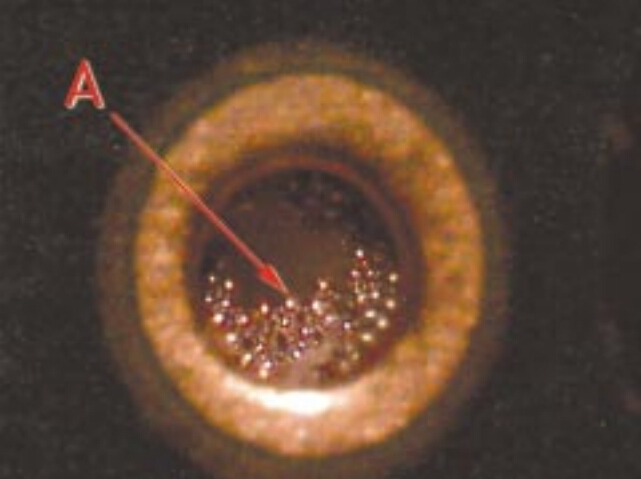 .Solder balls violate minimum electrical clearance. 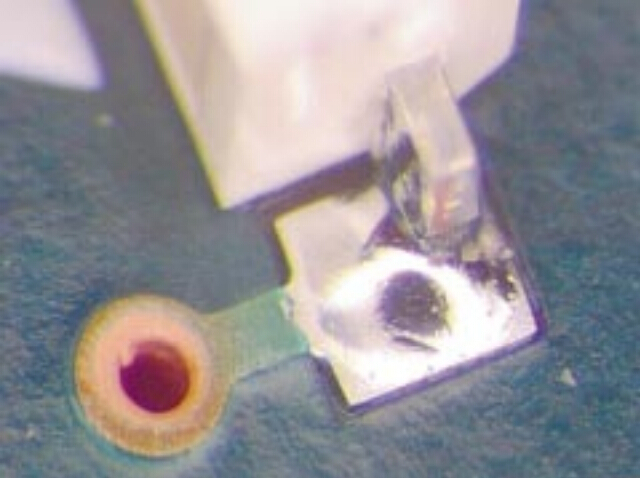 or not attached(soldered)to a metal surface. 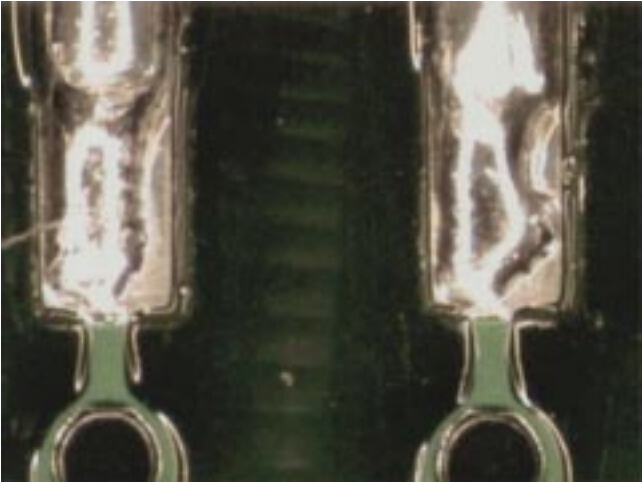 .A solder connection across conductors that should not be joined. 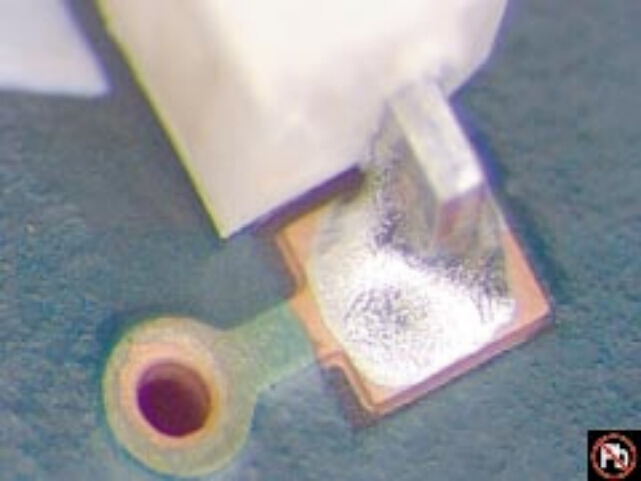 .Solder has bridged to adjacent noncommon conductoror component. 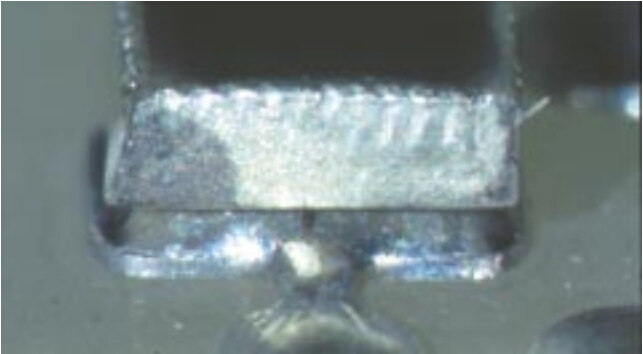 Surface appearance with cooling lines as shown in Acceptable pic is more likely to occur in lead free alloys and is not a disturbed solder condition. 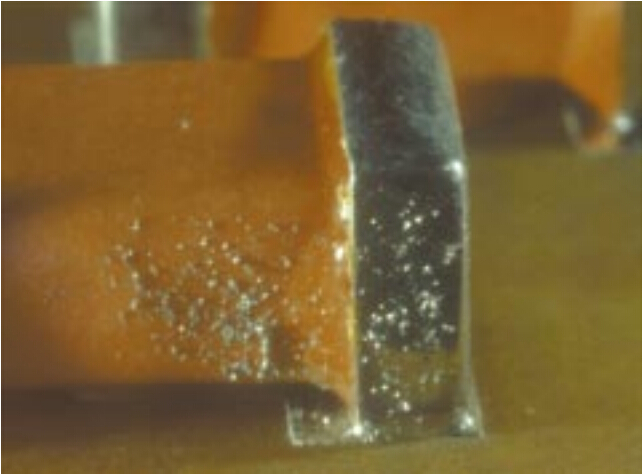 Characterized by stress lines from movement in the connection (SnPb alloy). 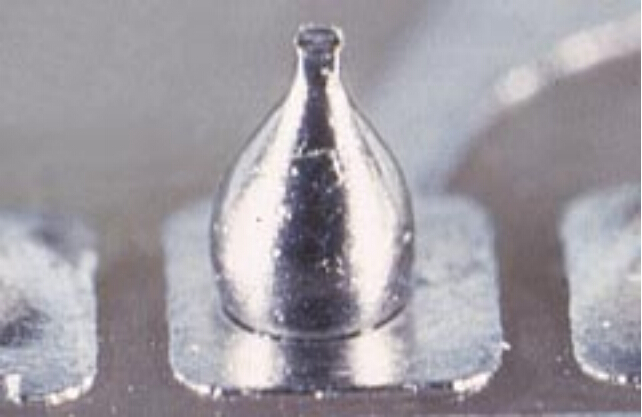 height requirements or lead protrusion requirements. 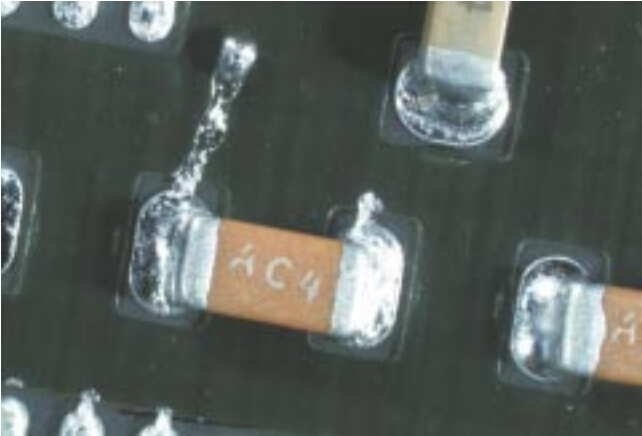 .Projection,figure 2,violates minimum electrical clearance(1). 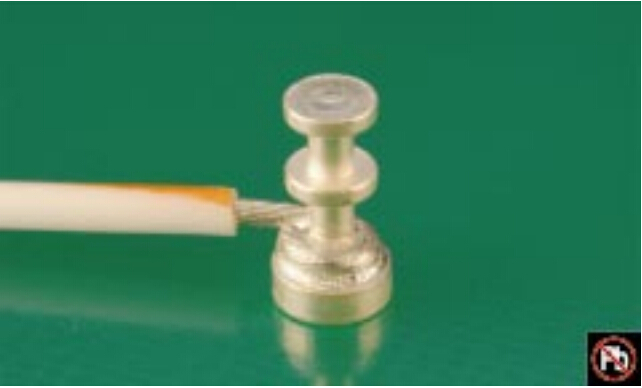 top of the land(primary side of plated-through hold connection). 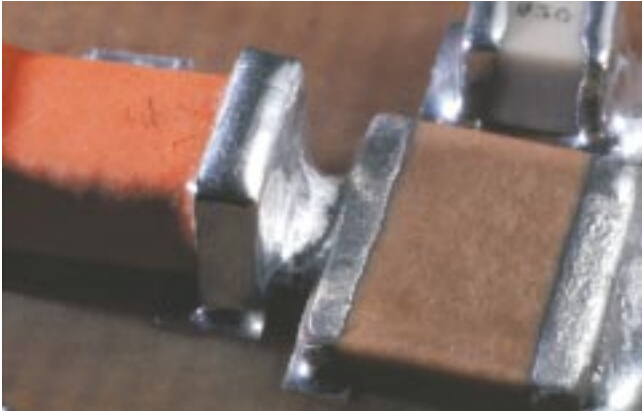 .Fillet lifting-separation of the bottom of the solder and the top of the land(secondary side of plated-through hold connection)(not shown). 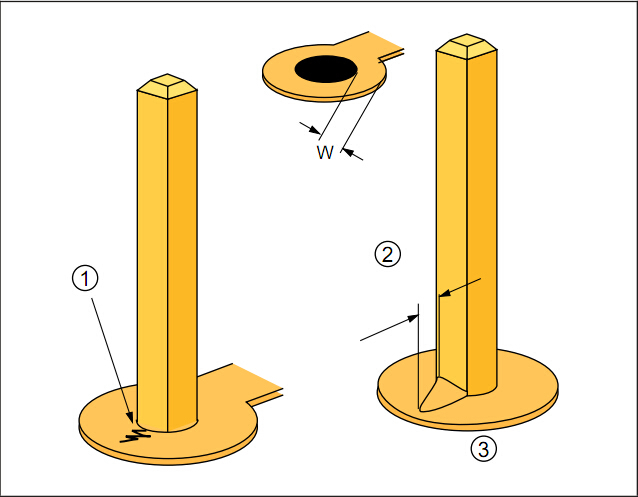 .Fillet lifting damages the land attachment. 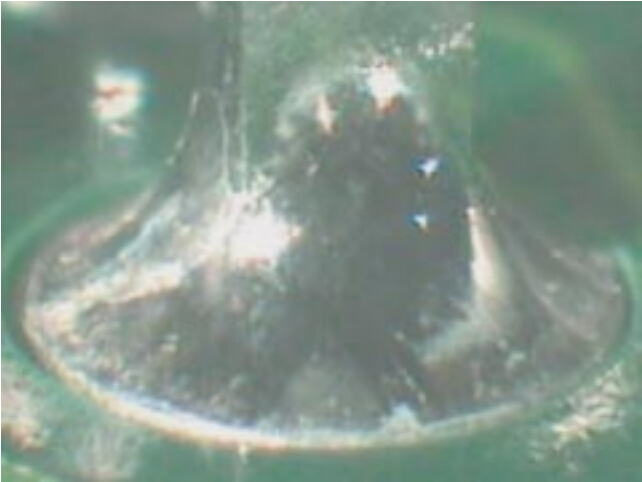 .The bottom of the tear is visible. 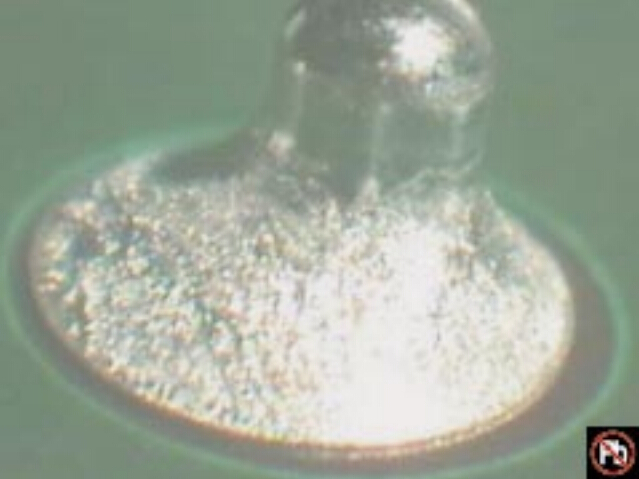 .The bottom of the shrink hole or hot tear is not visible. 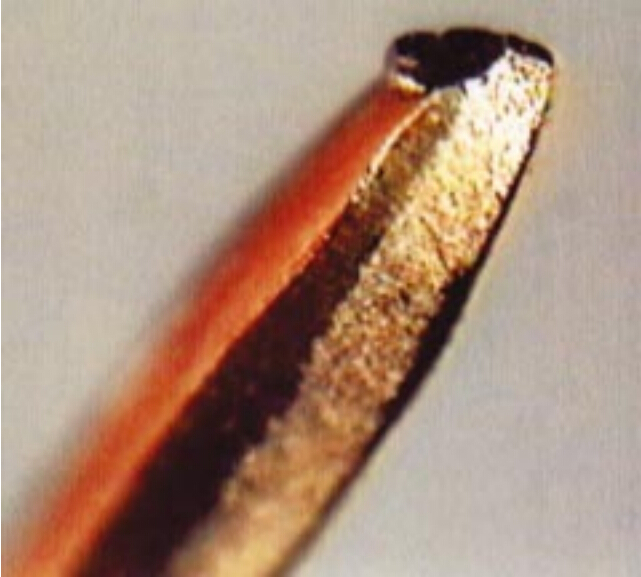 .The tear or shrink hole contacts the lead or land. 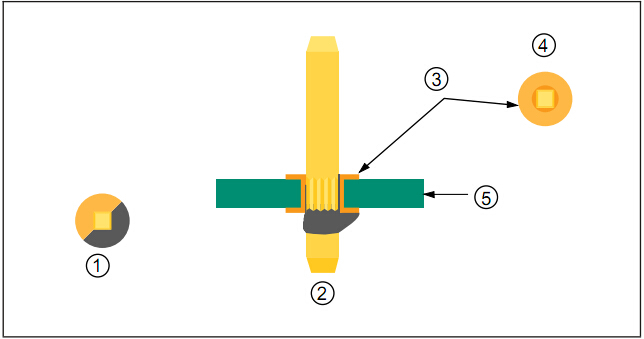 .Pins are straight,not twisted and properly seated. 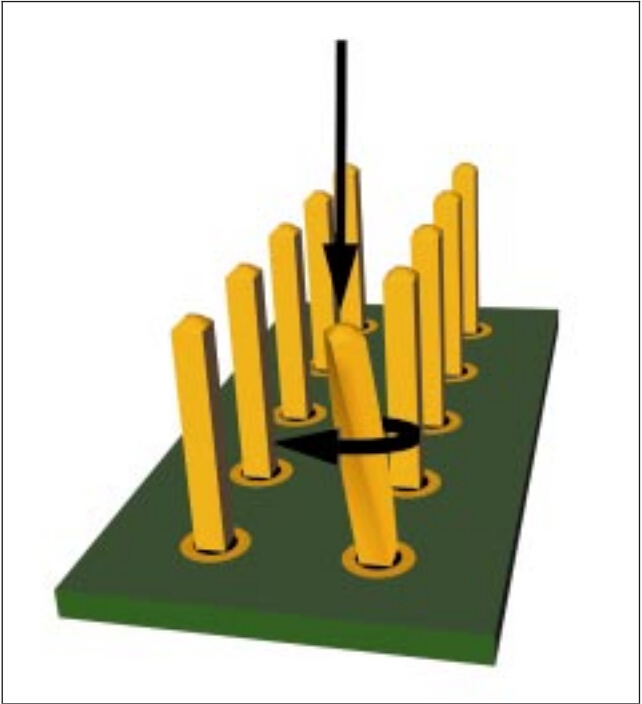 .Pins are slightly bent off center by 50% pin thickness or less. 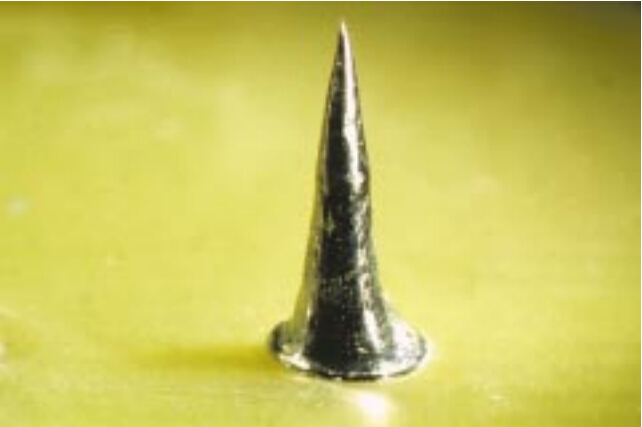 .Pin height varies within tolerance. 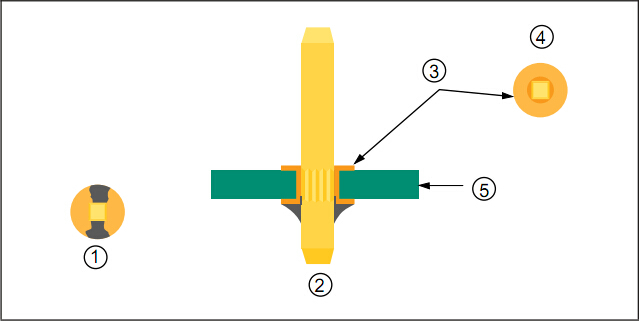 Nominal height tolerance is per pin connector or master drawing specification.The connector pins and mating connector must havea good electrical contact. 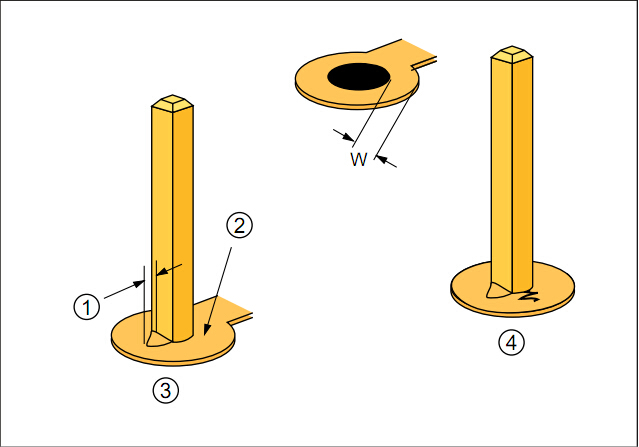 .Less than or equal to 75% of the width(W) of the annular ring is lifted. 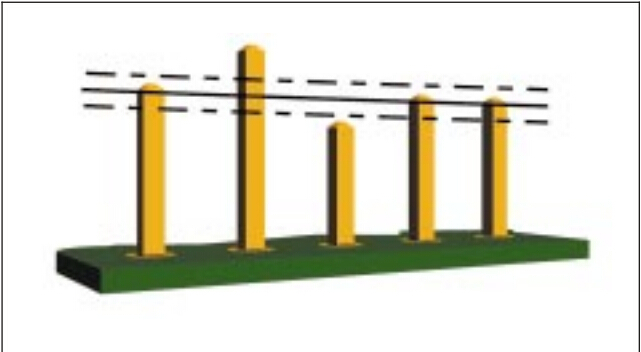 .Damaged nonfunctional lands for single and double-sided boards are acceptable if firmly attached to board in unlifted areas. 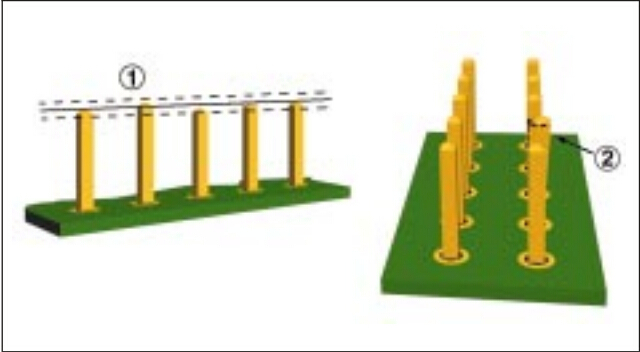 Any functional annular ring which is lifted more than 75% of the width(W). 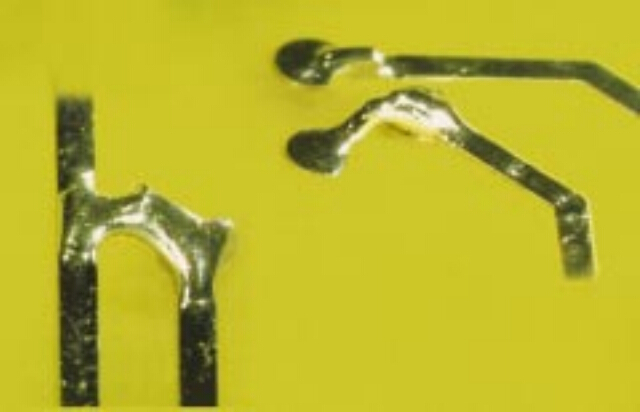 Any lifted or fractured annular rings with press fit pins. 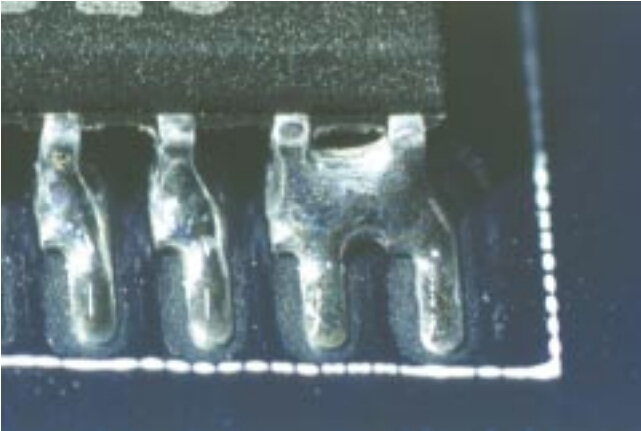 Pin is bent out of alignment. 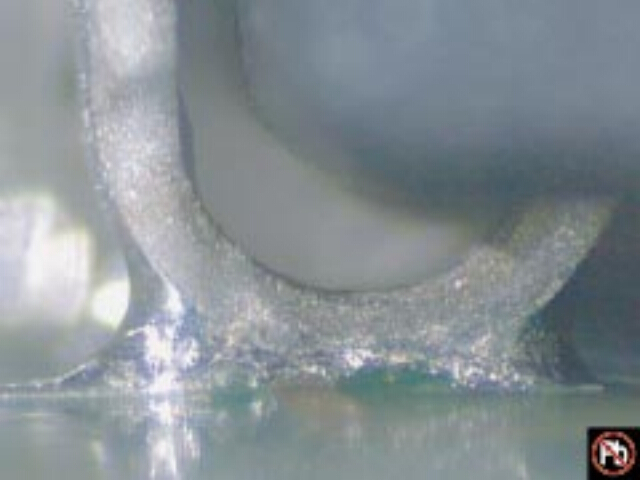 (Pin is bent off center greater than 50% pin thickness. 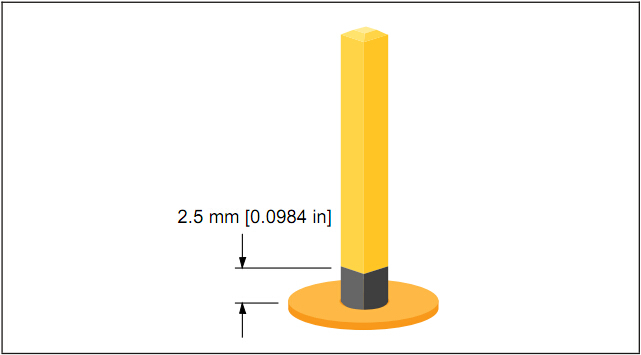 Pin height is out of tolerance as to specification. 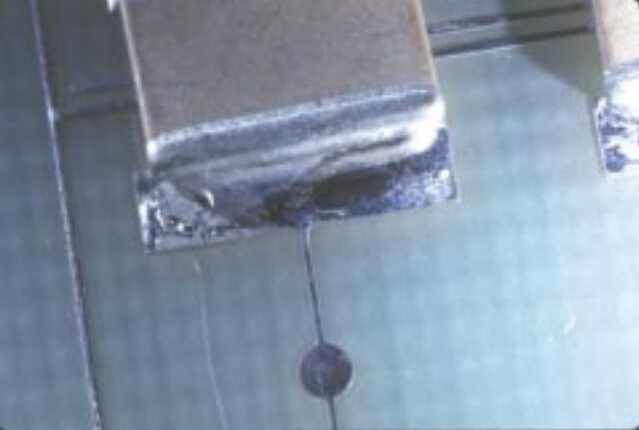 Damaged pin as a result of handling or insertion. 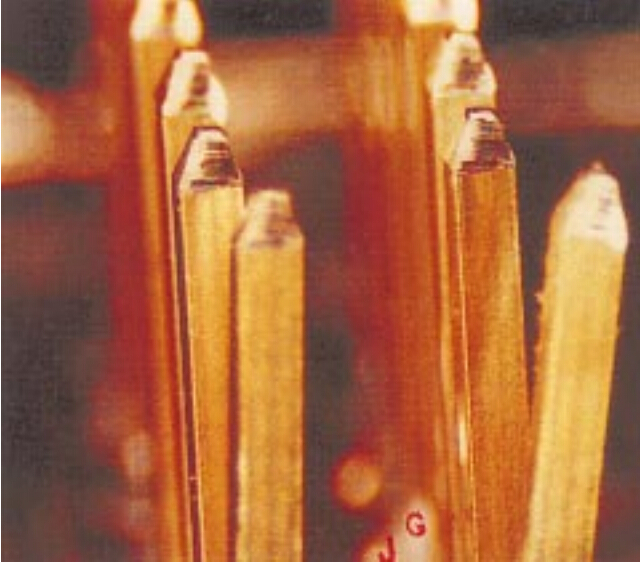 Damaged pin (exposed basis metal). 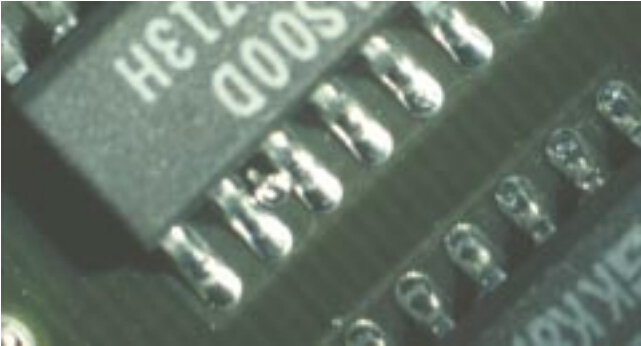 .A 360 solder fillet is evident on the secondary side of the assembly. 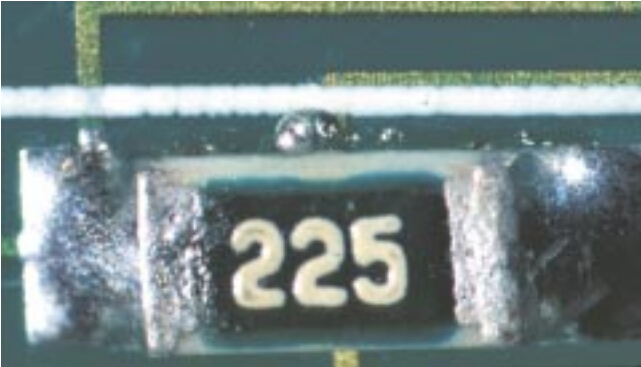 .Note:Solder fillet or fill on primary side is not required. 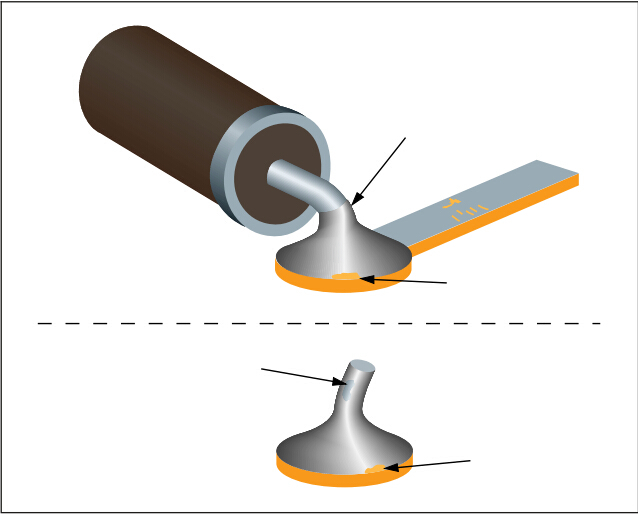 Solder fillet or cover age (secondaryside) is present on two adjacent sides of the pin. 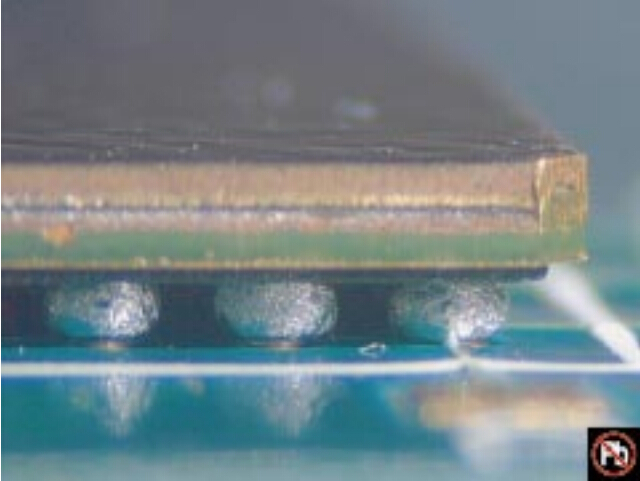 Solder wicking is permitted above 2.5mm\[0.0984in] on sides of pins provided there is no solder build up which interferes with subsequent attachments to the pin. 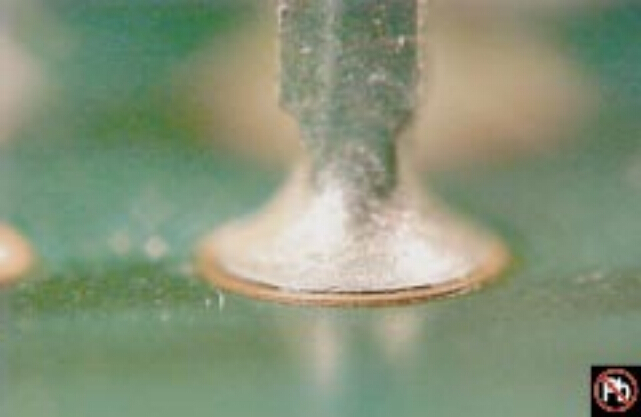 Solder wicking on sides of pins is less than 2.5mm\[0.0984in], provided the solder does not interfere with subsequent attachments to the pin. 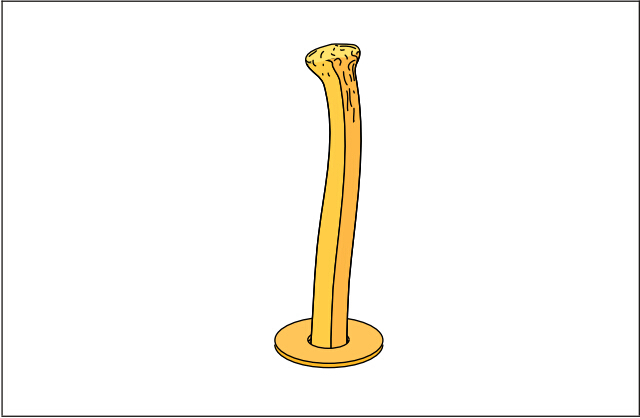 sides of the pin on the secondary side. 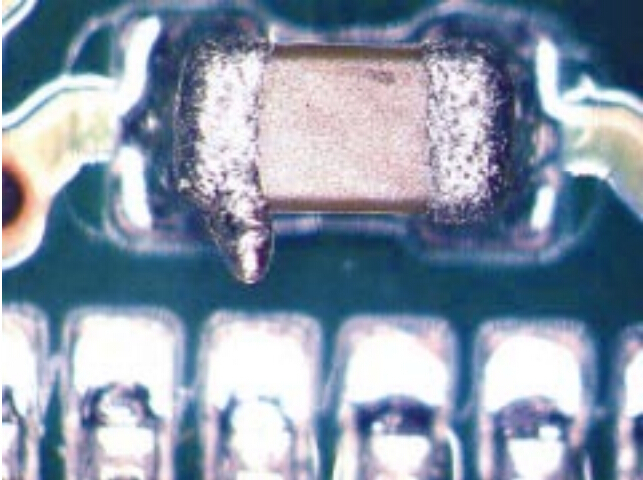 Solder build up interferes with subsequent attachments to the pin. 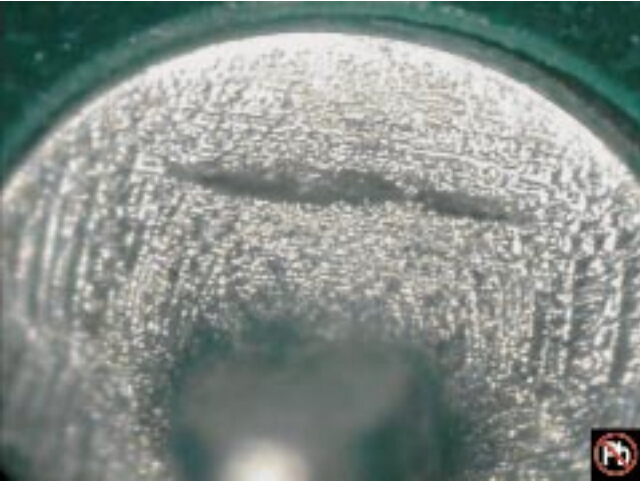 .Burnish on mating surface of separable connector pin,providing that plating has not been removed. 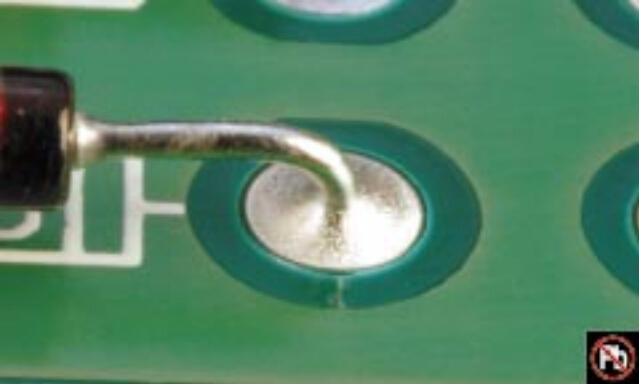 Scratched pin that exposes nonprecious plating or base metal. 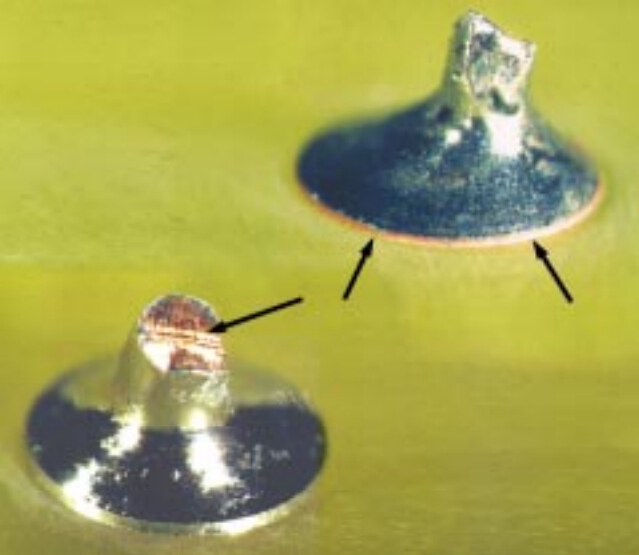 Missing plated on required areas. 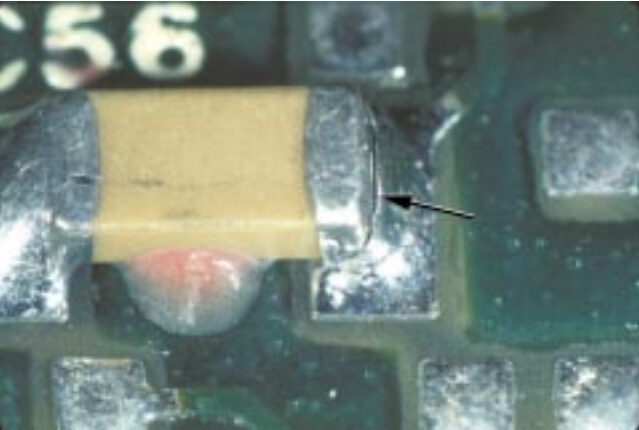 Pushed out barrel as indicated by copper protruding from bottom side of PCB.